Happy Tuesday fashion lovies! I was finally able to do my photographs on this dress so yes, it’s a little late but no worries. I have another dress similar to this one but the cut and length is a complete contrast. Furthermore, I am waiting for the right opportunity to wear that one as well. This ensemble is perfect for a cocktail party or dinner. 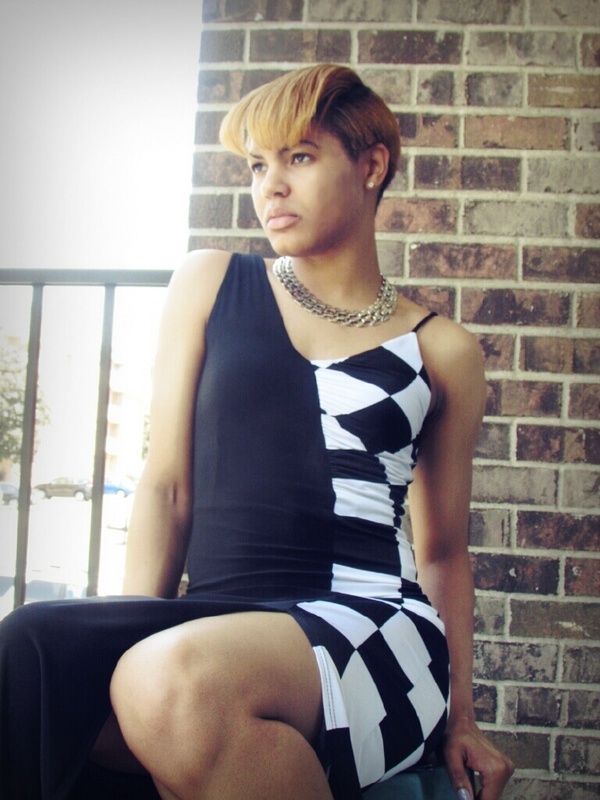 The checkered maxi dress has a mixture of edge, chic-ness, elegance and a tad of sexiness accented by the slit. I accented my maxi dress with a chain-link collar statement necklace to create a more elegant and softer look. What I love about this dress is the colorblock and the separate colorblocking on the checker printed side , doubling the monochromatic detail. Although it is only using neutral colors, black and white, the placements creates a lucid contrast. Lastly, I paired the dress with black and cream wedges to merely finish the look. To update my look a bit more, I accessorized it with a splash of red lipstick for that pop. Thank you for reading and happy styling!